Synopsis [c/o Barnes & Noble]: "In the sweeping tradition of The English Patient, Janice Y.K. Lee's debut novel is a tale of love and betrayal set in war-torn Hong Kong. In 1942, Englishman Will Truesdale falls headlong into a passionate relationship with Trudy Liang, a beautiful Eurasian socialite. But their affair is soon threatened by the invasion of the Japanese as World War II overwhelms their part of the world. 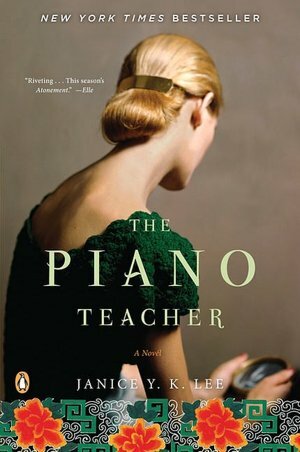 Ten years later, Claire Pendleton comes to Hong Kong to work as a piano teacher and also begins a fateful affair. As the threads of this spellbinding novel intertwine, impossible choices emerge-between love and safety, courage and survival, the present, and above all, the past." Overview: Before I talk about the book, I'd like to point out that when I have a physical copy, I try my hardest to take original photos of it. However, my SD card is overloaded with recent photos of other enjoyed things, so I have to borrow from Barnes & Noble instead. I found this novel sitting on a forlorn shelf in the base used book store. I don't think it particularly caught my eye, but rather happened as I searched for novels that I would not normally pick up to read. This seemed like one of the ones I would typically overlook in search of something more up my alley [dystopian, apocalyptic, fantasy, war novels, etc.] I'm not sure what I was expecting when I started to read it, but it definitely surprised me in the end. Do you ever finish a novel and wonder if you're smart enough to grasp the underlying meaning? This happened to me with The Piano Teacher. I was adequately entertained throughout the entire story, finished, put it down, and wondered...what was the purpose? It seemed as though the point the author was trying to get across eluded me the entire time. I was even desperate enough to find questions book club members had posed in order to try and understand the meaning. I still don't quite get it. Despite all of that, I did enjoy the novel. Whether or not the author intended for the reader to comprehend it this way, I felt that the story displayed a sort of untypical feminist movement. Instead of forcing society to make way for womanly desires, or crying out for equality, the main female character instead invents her own way of getting what she wants by playing on the feelings and goals of those around her. Her very survival lays on the actions of two men; one who can save her from the other, one whom she must please in order to live. 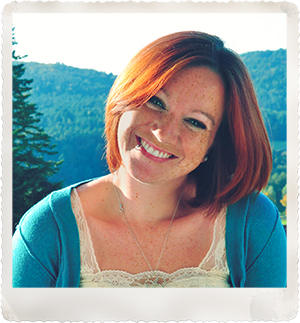 She does not try to become independent; instead, she tries to make herself indispensable to others. The story is also one of struggle, of heartache, of bravery and cowardice. People thrown together by fate, and forced to deal with their actions in the past, present, and remember those same decisions in the future. Set in Hong Kong, two worlds collide as the outbreak of WWII threatens the very lives of both Chinese and Westerners alike. If you are a fan of historical fiction, especially that of Asian variety, this is a wonderful combination of British and Chinese presence warring for foothold. And if you happen to finish the novel and understand what Lee was trying to say, I would definitely appreciate your insight! This book is on my to-read list. I've heard really good things about it. I'm more excited to read it after your review. So intrigued by this book/review! I want to read it now. On a side note, I LOVE these posts. Love them. Always look forward to them. And I love that you honestly write what you think about the books, not what you THINK people want you to write. That's what I love about them. Anywho, carry on! You're rocking it. I am so thankful for all the book recs.. this one is on my list!